EDIT: Yes, the initial handshake worked well and in time (see update screenshot). I try to clarify our configuration with its components: When I open the URL to the specified port, the wireshark log shows the destination IP 10.2.4.147, while I tried to connect to 10.0.0.10 [A], which would redirect me to 10.0.1.10 [B] (OAuth mechanism). Each server runs a IIS server with a wildcard certificate being installed, the intermediate certificate is stored in the microsoft local store (mmc). Note: The phenomenon of the tcp retransmissions occurs on each client I tried (as well as multiple browsers). So, 10.2.4.147 seems to be a network device in our LAN (I haven't installed the certificate on that device, I don't even know which server (+firewall?) that is in our LAN). Is it possible that the 10.2.4.147 server verifies the certificate chain in the internet/LAN? Why don't I see the server [A] or [B] in the wireshark log? What else can I do/analyse? EDIT2: I finally got access to our router/firewall configuration (RouterOS Winbox of Mikrotik router). I checked firewall settings, loaded certificates, but I can't find any setting that could give some hint about the reason for the delay. 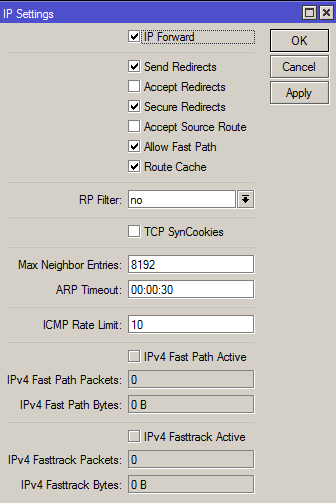 I found a SIP setting, which I also tried to deactivate, but with no success. Why does the communication succeeds nonetheless (after ~20 seconds)? Is the ACK optional? Might it have to do with the redirect to B or is the correct TCP handshake independent of the application? 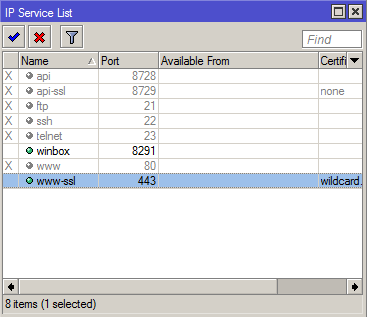 Might any IIS webserver setting be the cause of the problem? On system [A] an mvc application is running while on [B] an asp.net application runs. They are loaded on demand on the first access (in IIS), while I did already installed the initialization module, etc.. The initial TCP handshake didn't take place correctly. Frame 2336 (ACK to SYN/ACK) is lost in the network, since there is a retransmission of SYN/ACK in frame 3530 (9 seconds later !). Firewall rules should not be the problem since the transaction eventually finish. It could be caused by congested network or overloaded system (router/firewall, server) since the rest of transaction takes place normally and is less than 1 seconds (Frame 5996 to 6077). You should understand how you get that IP Address 10.2.4.147 (DNS, HTTP Redirect, ...) in the capture, since it is not the expected server. You should make a capture on that server (10.2.4.147) when the symptoms occur. Do you have the same symptoms when you get the expected server(s) ? Thanks for the great hint, I did some more analysis (see EDIT3 above). I really hope that we will get rid of this delay together. So the initial TCP handshake takes place normally (why didn't you include that? ), the TCP connection is then handed over to some TLS entity. Obviously the TLS entity isn't available until after 15 seconds from when the TCP socket has been opened, hence the retransmissions. So you should be looking at that TLS handler. All assuming there's no intervening network equipment, eg. load balancers, firewalls, etc. So with this little information there's little to tell, really. Thanks for your reply and explanation. I edited my post and attached some screenshots of the server configuration, firewall rules, etc. I hope it is helpful for further analysis, I am stuck.